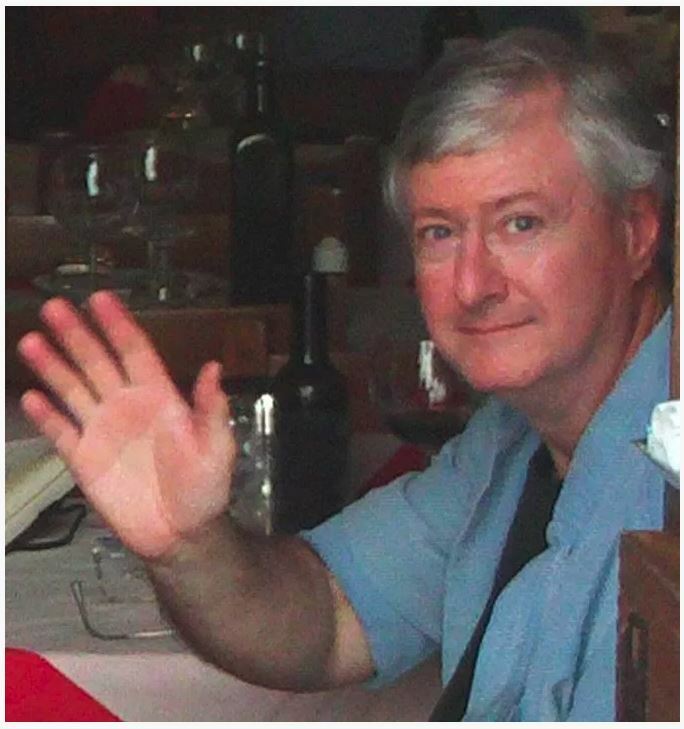 Patrick Carroll at Ristorante Il Verziere in Montefalco, Umbria Provence, Italy, in 2010. “The Lesmeister” opened May 16, 2013, and our first guest was Scott Sudduth of the Arkansas Hospitality Association. Scott was in town overnight to speak at our annual Tourism Association banquet, and the timing was perfect to welcome him as the first guest in the guesthouse. The guesthouse came about after Patrick Carroll returned from a 2010 vacation to Italy with family and friends. Pat has been fortunate to travel much of the world, including all over Europe as well as multiple visits to South America, to Morocco, Israel, and Egypt, and to China. The huge hand-hewn limestone foundation stones in the back of the Lesmeister Building caught his attention as reminding him of the stone construction he had recently seen in Italy, where he and his group had stayed in old stone farmhouses that have been converted into “agritourismos”, vacation rental accommodations in the Italian countryside. The Lesmeister building, built in 1902 by Heinrich Lesmeister, had been vacant and for sale for a couple of years, and the idea arose to give Pocahontas a touch of the type accommodations seen all over the rest of the world, with the hope that people who enjoy travel would enjoy seeing Pocahontas as much as people enjoy towns of similar size and charm all over the world. The building was purchased from Mr. Lesmeister’s great-granddaughter, meaning the building had been in the hands of the same family well over a hundred years. To manage the business side of the operation, Pat formed St. Charles Properties, LLC, named for the old St. Charles hotel building annex he also owns, on the Pocahontas town square, and a year of planning followed by a year of construction resulted in the guesthouse we see today. For more complete information on the history of the Lesmeister bulding, check HERE.